I chose green and red for some and some brightly colored pattern for the other to create these cute and colorful trees! 1.You would need a 2 pages from the kit or any paper on hand,here I have chosen a green chequered paper and a bight red paper.The paper from the kit are double sided which makes it all the more fun to craft! Fold the lovely square paper into half,unfold and fold again in the opposite way,now fold on the diagonals. 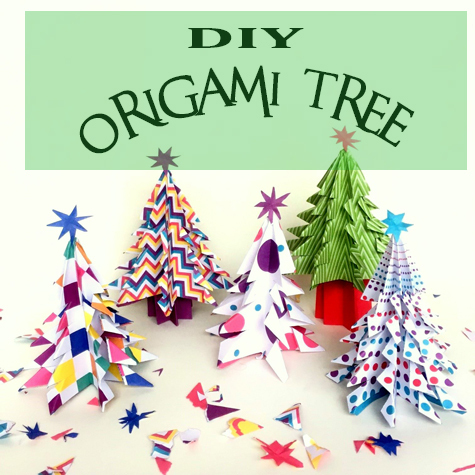 Use your scissors to snip the bottom ends below to get a tree shaped triangle.. Fold the cut ends to form ends of the tree! Usually the tree sits by itself but I thought it would looks even better with a truck after fiddling around I figured out an easy pleated trunk! Pleat the paper by making repeated folds like an accordion fold. Keep folding keeping pleats equal and small..
Open one side and tuck the other end into the fold to make an even no of folds.. 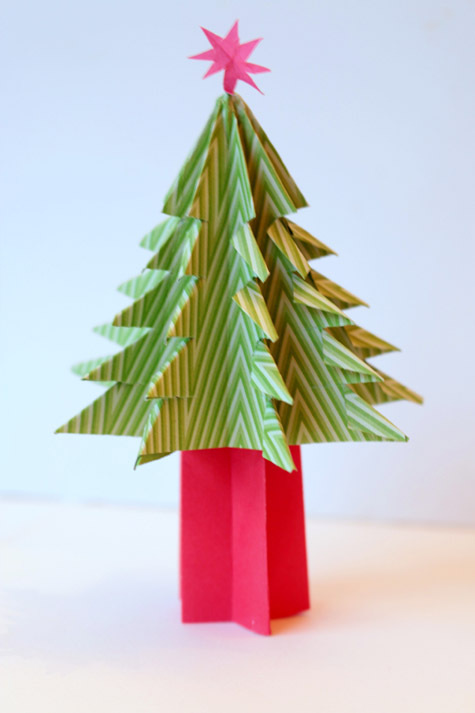 Fold the corners down to meet all the fold at the center to crease well each fold to form shape below..
Insert shape into the bottom of the tree like below. Cut a small star (draw) and stick on top.. Here are products I like do use the affiliate links below -it would support the DIY section of this blog! Beautiful art! Your ideas are so creative. Thanks for sharing.